Portland has a lot of great bartenders, and 2016 has been one of the busiest years yet with a flurry of bar and restaurant openings. Meanwhile, spots that opened in 2015 have been focused on refining and polishing their programs. 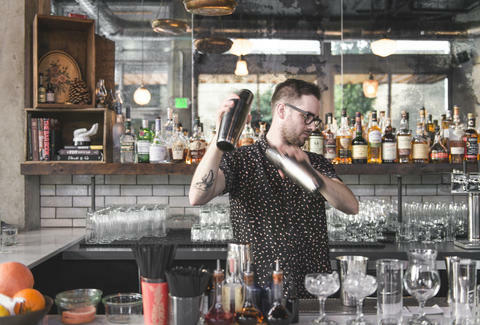 What makes or breaks these bars can be a lot of things, but when it comes down to it, nothing’s more important to a bar’s success than the person making your drink. 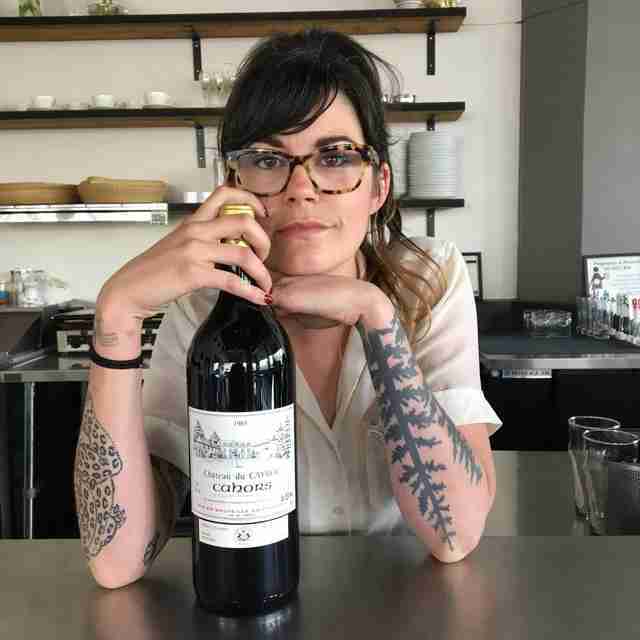 Here are the biggest, most influential, most kickass bartenders that have shaped Portland in 2016. Apparently, it helps to be attractive and tattooed. Rue hasn’t been attracting as much attention as it perhaps should be, having opened in a year with literally dozens of other restaurants, but bartender Jon Lewis shouldn’t be missed. 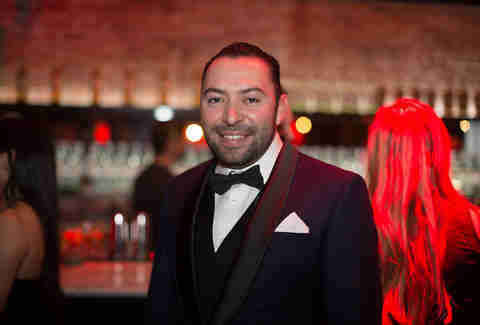 After helping to open the bar at Taylor Railworks in late 2015, he was brought on to open the bar at Rue in 2016, where he brings his original, occasionally bizarre approach to cocktails. With drinks that include banana liqueurs (the Sharknana, inspired by his own shark/banana tattoo), or ones based on multiple types of bitters and vermouths, Jon’s speciality seems to be cocktails that shouldn’t work, but really do, and are unlike anything else in town. 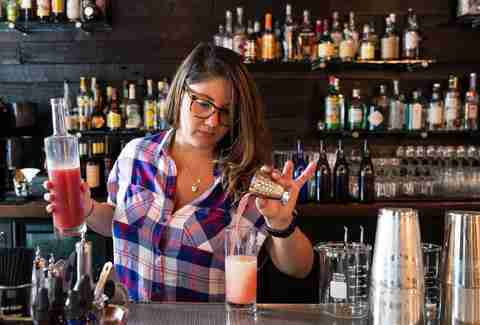 It takes a lot of work to own and manage a bar, but the bespectacled Alise Moffatt does so with aplomb, and makes it look almost easy. Though it took Shift Drinks a moment to find its footing, as of 2016, it offers one of the best and most inventive cocktail programs in the city, raising the standards for everyone. Alise can be found behind the stick almost every night of the week serving creative and delicious cocktails with expertise and an endearing passion. 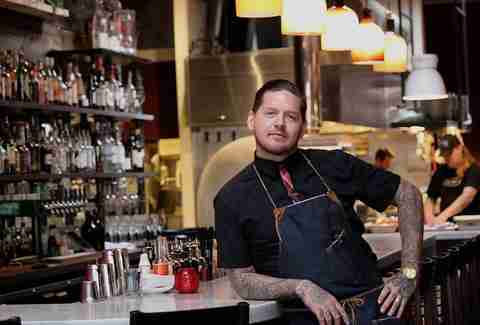 The dapper Douglas Derrick is mostly known for the Negroni, having started the Negroni of the Month program at his previous restaurant, Nostrana, as well as the Negroni Social which inspired Negroni Week. In 2016, he’s been leading the movement of "farm-to-glass," with local ingredients from some of the top farmers in the state going directly into his cocktails. With his understanding of produce’s role in cocktails, Douglas has created some unique and delectable drinks that strongly reflect the season. In the meanwhile, he spends time judging cocktail competitions, including the Northwest portion of the Espolon Cocktail Fights. 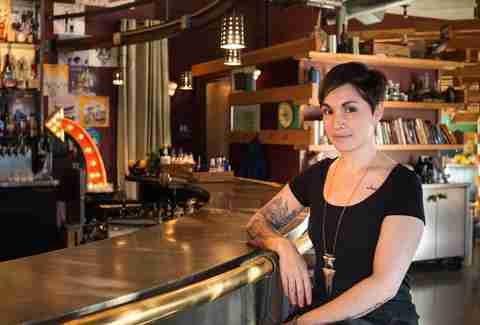 Michelle Ruocco started her Portland career as bar manager for the now-shuttered Bent Brick. In May of 2016, she grabbed the gold at the Whiskeytown Cocktail Competition before moving on from Bent Brick and becoming possibly the city’s most ubiquitous bartender. You can find Michelle almost any time of the week at one of many bars, including the fabulous Korean pop-up Han Oak. There, she designs a unique cocktail program, with new drinks every week, often inspired by Korean dishes or just full of unexpected flavor combos. The rare times she’s not tending bar there or at Tusk, Woodsman Tavern, or Rue, she’s posting photos of her stunning creations on Instagram, under the name BigMixshake. 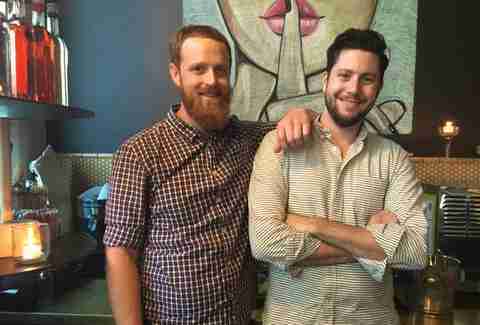 Joe Frade is creating some truly exciting drinks at LeChon, especially with tequila and rum. He freezes his own ice for clarity and consistency, and hand-carves it. He smokes cocktails and fat-washes cachaça. 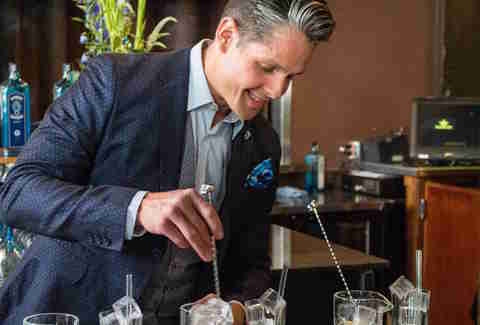 He’s been a National Finalist twice in the Bacardi Legacy Cocktail Competition, and is preparing for his third time, and he runs a beverage consulting and education company called the Liquid Courage Corporation. But what really matters to Joe is his community work: With a degree in Exercise Science, he’s planning on adding a blog to his Liquid Courage website to give advice on healthier living to industry workers. As a veteran of the Marine Corps, he plans to open a nonprofit bar which will employ military veterans who are looking to join the service industry. Natasha Hill was the Portland cocktail scene’s best-kept secret for a while, until she started winning serious competitions. Natasha spent most of her bartending time at the Trio Club, a busy dance club. While the bar taught her speed and efficiency, she got bored making AMFs and vodka sodas, so she self-educated with cocktail literature before joining the Oregon Bartending Guild and starting a small, semi-secretive craft cocktail night at Trio. Eventually, she would use her combination of speed and craft in competitions, winning the Espolon Cocktail Fights in 2015 and again in 2016. Recently she moved on to a craft position at the Benson Hotel, and is taking her skills to the Espolon Nationals in New York City on November 9th. Estanislado Orona, better known as Tanis, is responsible for most of the bar action happening at Raven and Rose’s upstairs bar, The Rookery. There he crafts amazing cocktails, including some of the best versions of “classics” you can find in Portland (we wait all year for his mint julep in summer). 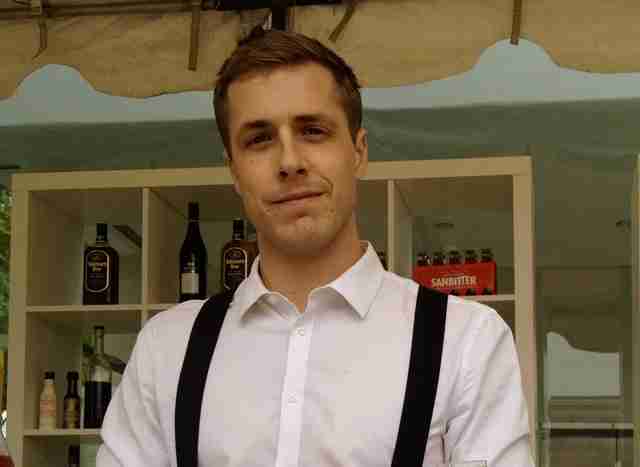 Much of 2016 for him was focused on defending his victory at the regionals for the Most Imaginative Bartender competition, which he successfully did, and traveling to London for finals. Still, he’s managed to find time to craft house syrups and spices; look for his enticing house-made cola soon, preferably mixed with red wine for the best kalimotxo you’ve ever had. While wine is generally the prefered pairing with food, cocktails are making strides towards being food-friendly. Angel Teta exemplifies this at Ataula, where she pairs delicious sherry based-cocktails (and more) with Jose Chesa’s Spanish cuisine. 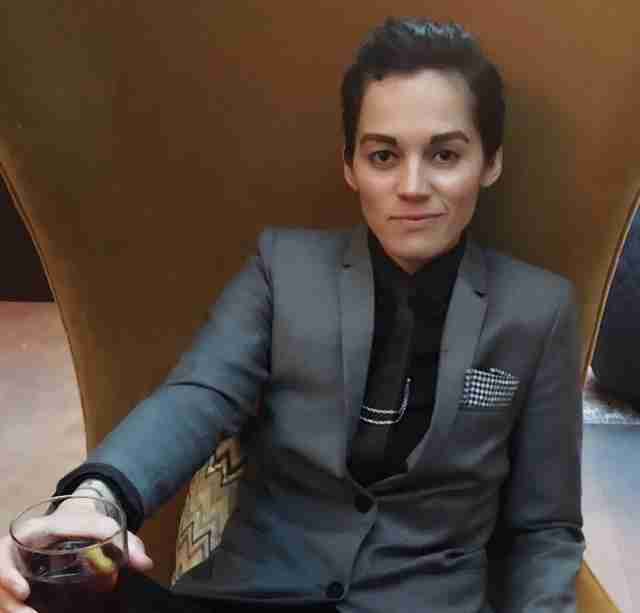 She’s been behind the stick for a number of years now, working behind a tiny bar that serves a massive restaurant space, but 2016 has been big for her -- she was the Tales of the Cocktail winner, beating out hundreds of others for one of the most prestigious awards in bartending. 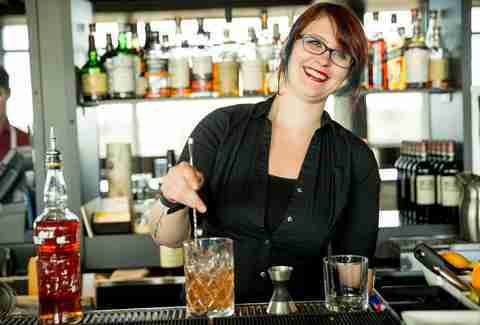 Still, she remains a delightful and talented bartender, popular with guests as well as her peers. Altabira City Tavern is quickly becoming a destination after opening last year. Some of that is due to its beautiful balcony that overlooks the city, as well as its proximity to the Moda Center for Blazers games. 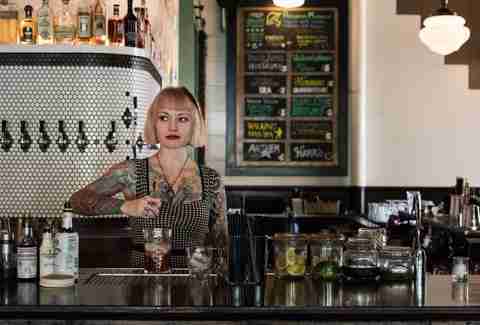 But a lot of it is also because of its talented bar manager, Becca June. Becca is an Oregon native who grew up in Portland, though she spent time mastering her craft in New Orleans, and only returned home last year. Now she brings her charm and skill to the bar at Altabira, making cocktails from a variety of inspirations, from pop culture to music, or even what is happening at the nearby convention center; her drinks almost always have a story behind them. Jacob Grier is one of those bartenders whose influence goes beyond his work behind the bar; last year he published his book on beer cocktails, Cocktails on Tap, and this year his brainchild, Aquavit Week (December 4th-10th), will be bigger than ever, spreading outside of Portland to cities nationwide. 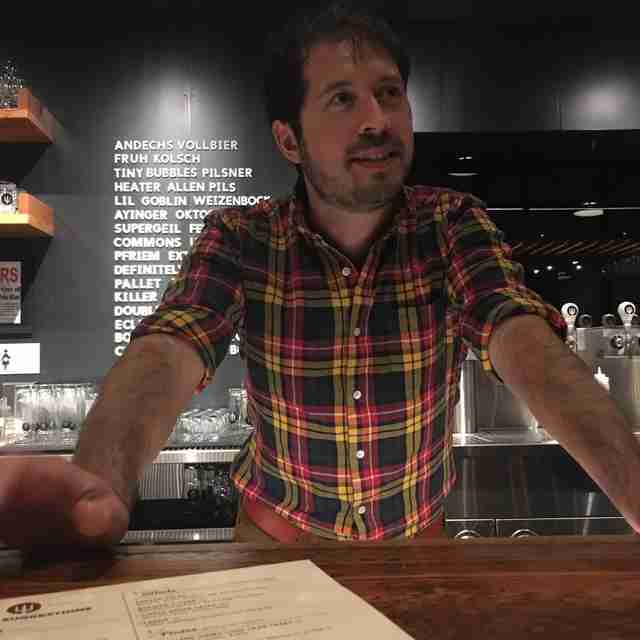 The year 2016 also saw him writing and publishing articles on alcohol legislation, teaching classes at Tales of the Cocktail and Bar Institute, and helping to open Portland’s newest pub and soon-to-be brewery, Wayfinder Beer, where he designed the bar program, bringing his signatures of aquavit and beer cocktails to the masses. And while 2016 is no different in this regard, Jacob remains one of the nicest people to serve you a drink in Portland. The Lightning Bar Collective seems to always strike gold, having one of the most popular line of bars in the city. With Victoria, which opened in summer of 2015, the reason for success is clear: its eponymous co-owner and bar manager, Lisa Victoria Hare. Lisa is even more stylish than the bar named for her, and has made it the most welcoming and fun bar in the Collective by letting her personality and talent inform the way the bar works -- for instance, the cocktail menu, with names all taken from The Princess Bride, or the dog-friendly patio. Gregarious and endearing, Colin Carroll is a mad scientist behind the bar at Trifecta Tavern. Who else would think to char wood in a wood-fired oven and sous vide it with batched cocktails? Colin’s cocktail menu is much like him: all at once refined yet wild; bold but clever. The year 2016 has been his most playful yet -- like his summer menu that included zany yacht drinks, or the fall menu with bone marrow-infused bourbon. 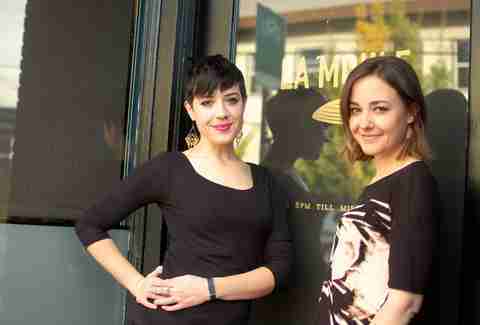 La Moule opened in 2015 with a great collaborative cocktail program managed by Mark Macminn and guided by owner Tommy Klus, but Mark has left, while bartending super-duo Bex Karnofski and Anna Moss, who both helped open the bar, have taken over. The two have tightened and refined the menu, making it more focused and seasonal, while working in tandem to create more daring cocktails, relying on the public trust that La Moule built up over its first year. While it was a great spot to begin with, under Bex and Anna’s watch, it’s growing up well, and it doesn’t look to be slowing down. Another spot that opened in 2015 and hit its stride in 2016 is Renata. Gabe Pearlman took over as bar manager from Gabe Lowe in May 2016, with Eric Rickey joining as head bartender at the same time. 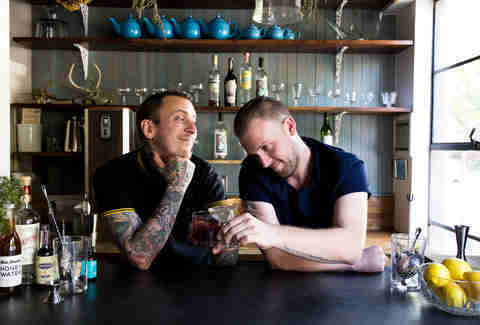 While the two were strangers at first, they immediately connected as “twin souls” when it came to bartending. They saw a great bar program, but one that could be improved, and have shaped and focused the menu since then, adding on an extensive classics list and creating new, exciting Italian-inspired drinks, all the while being engaging, entertaining bartenders. While Renata is still a great spot for diners looking for Italian food, Eric and Gabe have made it a destination for cocktail drinkers as well. It’s arguable that Lucas Plant and Daniel Osborne are the most influential bartenders in town… as least as far as barware is concerned. The two, along with social marketing maven Katie Burnett, formed Bull in China two years ago, an artisan barware shop, and now you can hardly find a cocktail bar that doesn’t use their stirring glasses, Lewis bags, and ice mallets. This year, they’ve been busy setting up their own brick and mortar shop, as well as consulting with bars and helping to launch bar programs at spots like Besaw’s and Solo Club. Somehow, they still managed to find time to tend bar, with Luke at the Green Room and Daniel at the popular new restaurant, Tusk. 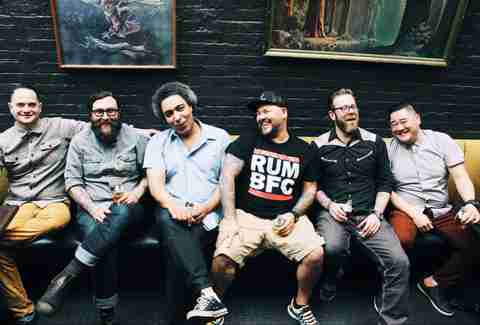 Nick Cifuni, Chauncey Roach, Brian Gilbert, Jesse Card, Chris Churilla, and Chino Lee: It couldn’t be just one. Bit House Saloon was an entirely collaborative venture from the moment it opened its doors early last year, and has remained with the same core crew (Team Riff-Raff as they call themselves) ever since -- an unparalleled accomplishment in this city. This collaboration helped put Bit House on every media bar list, including multiple Bar of the Year awards, and made it a vibrant hotspot with its hospitality-driven approach and incredible drink menu. The team is traveling to New York for the finale of the Bar Institute to give a presentation on their collaborative program -- one of five bars chosen nationally to do so.